In-frame kitchens are available in both traditional and contemporary styles. The characteristics of this kitchen are instantly recognisable by its design: the appearance has a door enveloped by a frame which instantly conjures images of traditional, time-served craftmanship. These square framed doors with a classic inset flat centre panelling define this range, as well as traditional detailed raised centre panels. These details are then perfected with a variety of natural and painted finishes which give definition and personality to them. 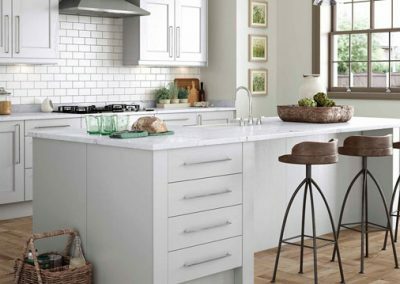 These kitchens are a timeless classic suitable in any home. 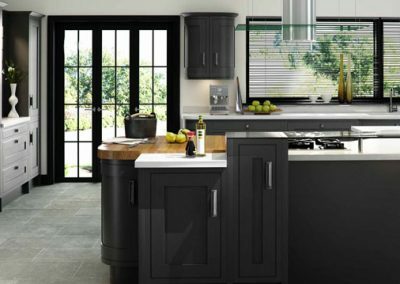 For a modern twist on your kitchen, this graphite look delivers a sleek contemporary feel in natural and painted finishes. Add curves in all the right places too, with the option of giving your wall unit corners or island a softer look. 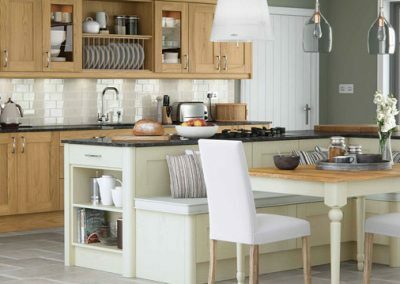 For a more classic farmhouse feel, this kitchen design delivers traditional ambience with majestic accessories. At Kitchen King, you will find two innovative brands for your appliances: NEFF and BOSCH. The classic premium collection that we offer from Neff and Bosch gives you plenty of options in the kitchen. Our kitchen appliance range includes ovens, hobs, hoods, dishwashers, laundry and refrigeration. With features like full-touch control ovens and ‘whisper-quiet’ dishwashers, we anticipate your every need. If you have big ideas but are short on space, Kitchen King supplies compact appliances to help you enjoy modern kitchen comforts in a fraction of the space. With accessory drawers for additional storage space, most appliances can do more than one thing. So whether you’re entertaining friends or cooking daily meals for the whole family, you get personal, professional cooking space to make your life easier and give you more time to enjoy it. At Kitchen King, we believe we have hit the mark, offering you small kitchen appliances that can handle your biggest needs. To add to that farmhouse feel, this kitchen design can come equipped with a majestic overmantle, adding that extra bit of detail to your kitchen, as well as T&G end panels completing the look of the Iona Oak In-frame design. Adding a storage pantry saves on space and creates an effective area for kitchen supplies and appliances. The Iona Oak In-Frame delivers traditional ambience with distinct majestic accessories in smooth painted finishes. Surround yourself with elegance and functionality with this alluring combination of contemporary and traditional design. 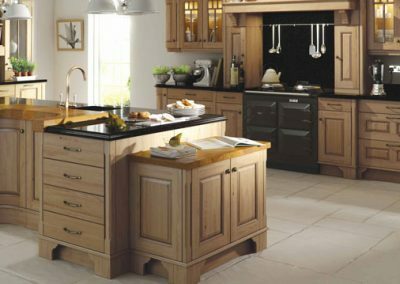 With over 80 different handles available in a wide range of finishes including stainless steel, oak, and polished, our range of handles can compliment your choice of kitchen style. Both functional and stylish, you can be assured that Kitchen King has the right handles to complete your kitchen’s needs and look. Illuminate your kitchen with a range of halogen and LED lighting styles. 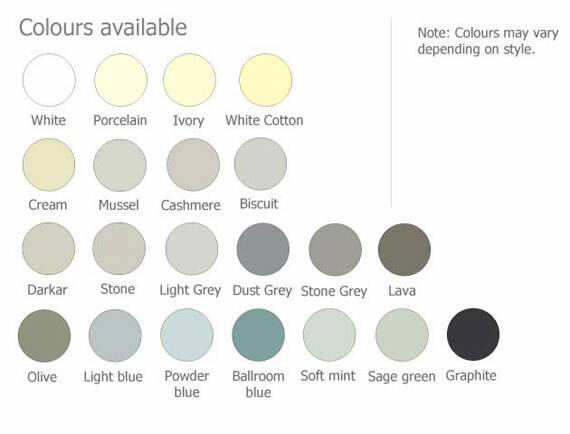 LED lighting can provide both a functional and stylish solution and comes in a range of colour temperatures to create that ultra-modern feel. 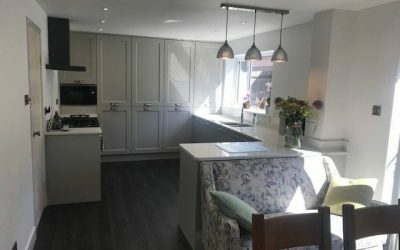 From the design to the final install, we work hard with you to fit a kitchen that will make you the envy of your street.